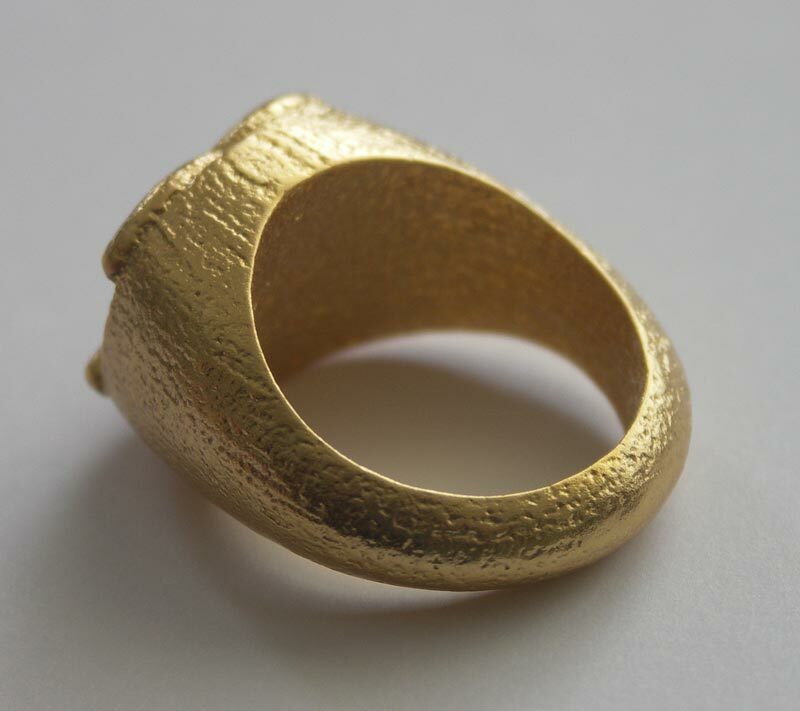 A gold-plated stainless steel ring that I designed for my wife recently arrived. 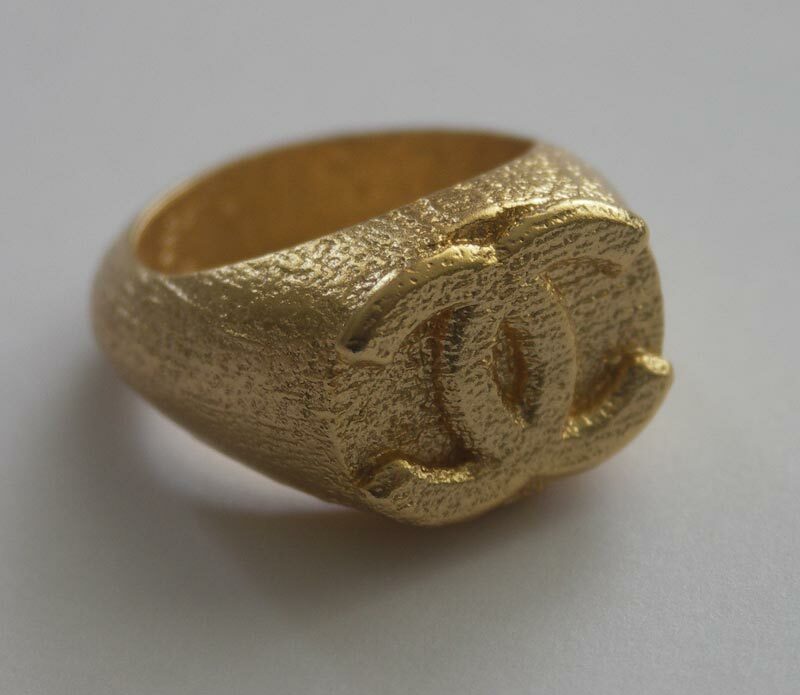 It has the Coco Chanel double-C logo, and for obvious reasons it is not available for sale. 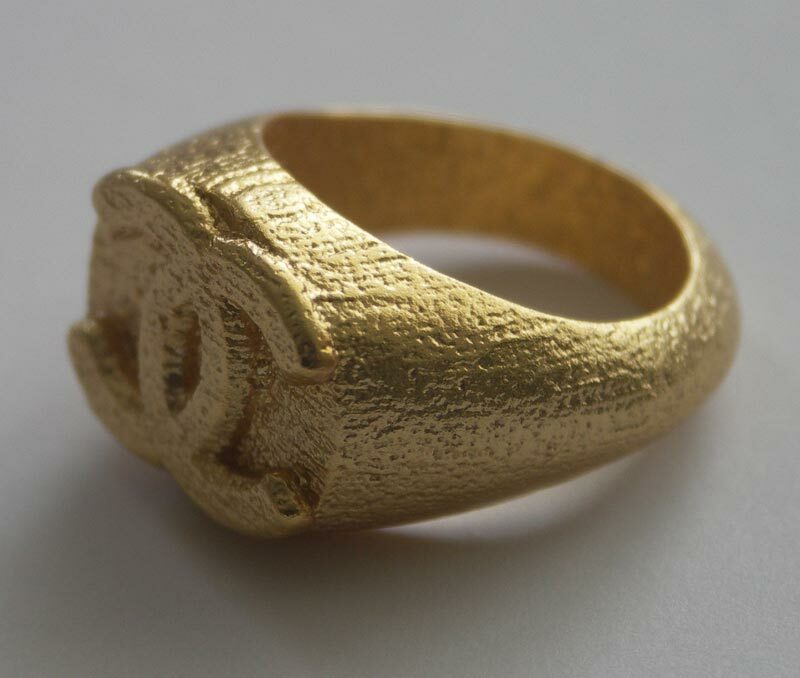 Posted here to show the new – and hopefully not temporary – gold-plating option offered by Shapeways. This is a 24kt plating and what I like about the process is the fact that it looks like an antique gold.